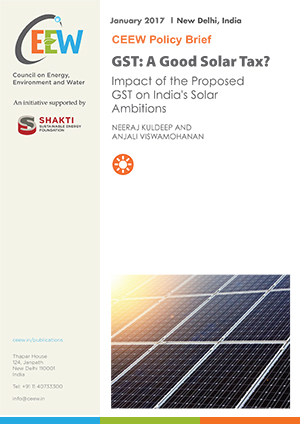 This report analyses how the interplay between risks, policies, and market developments has shaped renewable energy capacity addition in India, and identifies gaps that need to be addressed. As of 2017, India has the world’s fourth largest installed wind capacity and the sixth largest installed solar capacity. Investment flow into the renewable energy sector in India is the second highest among developing countries. 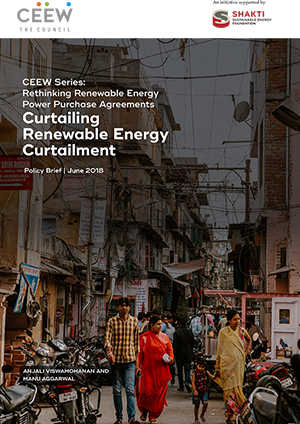 India has instituted several policy measures to support renewable energy deployment, but actual capacity addition is contingent upon how these policy measures are able to address the various risks plaguing the sector. 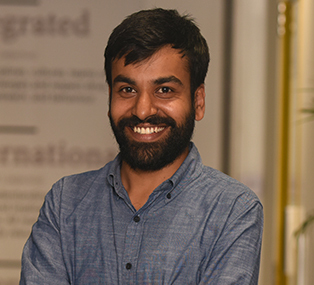 This stocktake, which follows an analysis of clean energy investment trends in India, aims to aid policymakers, regulators, developers, and investors assess the extent of consistency between the current state of the sector and India’s clean energy ambitions, and identify the course corrections required to further the energy transition. 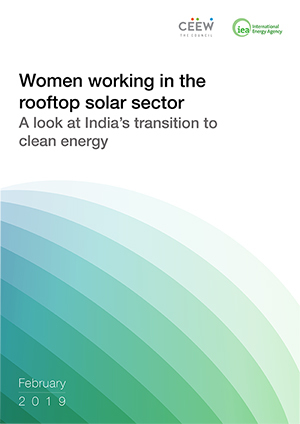 It focuses on the solar and wind energy sectors, given their primacy in India’s renewable energy ambitions. Investors find the Indian renewable energy sector increasingly attractive, as evidenced by trends in renewable energy investments in India. Sectoral risks are lower, as reflected in the decline in auction-determined utility-scale renewable energy tariffs. Policy-level interventions have reduced the uncertainty of demand, facilitated the setting up of supporting infrastructure, helped mitigate offtaker risk, and offered preferential treatment to renewables in the form of exemptions from inter-state transmission charges and must-run status. Policy-related measures have been augmented by favourable market developments: declines in unit costs of PV modules and wind turbines; and favourable changes in the terms of financing. Lower risk perception of renewable energy investments, supported by a favourable international financing environment have translated into more favourable terms of financing. Capacity addition has lagged behind in the underserved rooftop solar segment. Policy measures aimed at incentivising rooftop solar deployment have had implementational challenges at the discom level, and the flow of finance to the rooftop solar segment has been limited by the lack of bankability of projects. Public sector capital should be deployed in such ways in order to stimulate growth in such underserved market segments. There is considerable variation among states in the supportiveness of regulatory frameworks, financial health of discoms, and the future demand potential for electricity. These variations differentiate states in terms of attractiveness for investment. The uncertainty surrounding the potential imposition of duties on imported PV modules has hampered investment, while the increased competitiveness of generation could lead to the withdrawal of support mechanisms such as the must-run status. Stricter implementation of some existing policy measures is needed to raise their effectiveness. Additional interventions are needed to address major risks for RE capacity addition, particularly the challenge of RE integration. 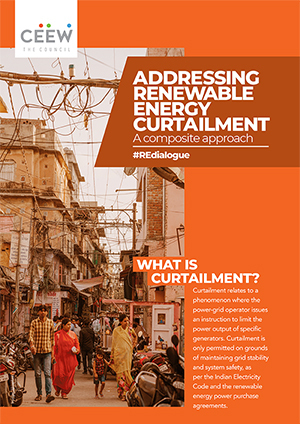 In order to integrate greater RE capacity into the grid, T&D infrastructure, and scheduling and forecasting capabilities, need strengthening; and curtailment risk needs to be mitigated by robust contractual provisions and financial instruments. 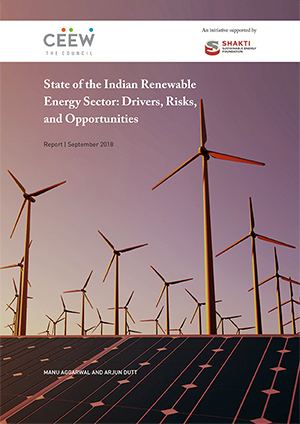 While renewable energy capacity addition has increased over the past few years in India, existing and evolving risks need to be addressed to scale up deployment to the level of the country’s ambitions.